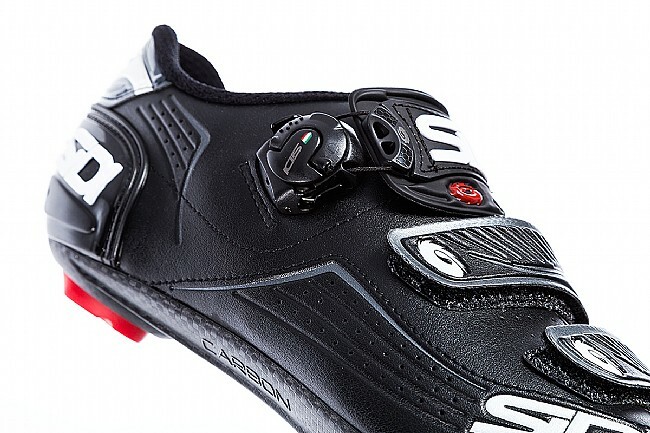 SIDI sought to develop the ideal shoe for those riders looking to get the iconic SIDI look and feel but at a more accessible price. Whether it's intense pre-season training, long-distance touring, or even high-octane competition, the Alba's new Millennium 4 carbon composite sole and Politex upper provide the perfect balance of stiffness, comfort, and durability. Bringing their Tecno-3 retention system along for the ride, the Alba packs a feature-packed punch. Featuring Politex material through the upper, the shoe is constructed of several overlapping layers with different physical-mechanical properties. The compacted PVC is then coupled to two fabrics (knitted fabric + felt) that is then film dyed for long-lasting color retention. Politex offers strong resistance to ripping, laceration, stretching and fading. With their Tecno-3 retention system, the micro-adjustable system dials in fit along the entire length of the shoe, adapting the upper to the shape of the foot for a customized fit. SIDI’s famously reliable and replaceable closures are improved by an all new proprietary SIDI Wire material that is completely non-binding for intuitive and effortless on-the-fly adjustments. Like most SIDI small parts, the Tecno-3 buckle is serviceable and replaceable. Millennium 4 carbon composite sole. Compatible with 3-bolt road cleats & pedals. Great shoe at a great price! 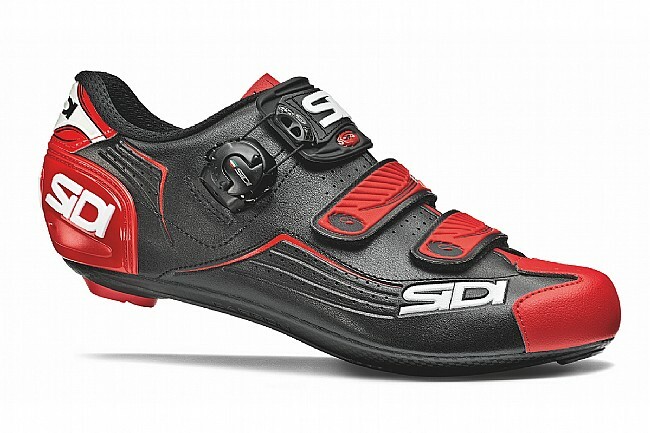 I'm a fitnessrecreation rider who doesn't like to spend a ton on shoes, but these Sidi Albas were in my price range. They are far and away the best shoes that I have owned based on my spending habits. They are comfortable, stiff and the Boa lacing system is nice. Would definitely buy again. When purchasing, I did not realize these were Entry Level Shoes. Sole plate somewhat more flexible than my other SIDI's. The traditional Carbon Weve is not apparent.. if at all. So far, shoes are a bit more roomy but comfortable... while on the century plus rides. Love the bright yellow color of these shoes, eye catching & high visibility Can't Miss'm and that's what appealed to me. Safety wins! 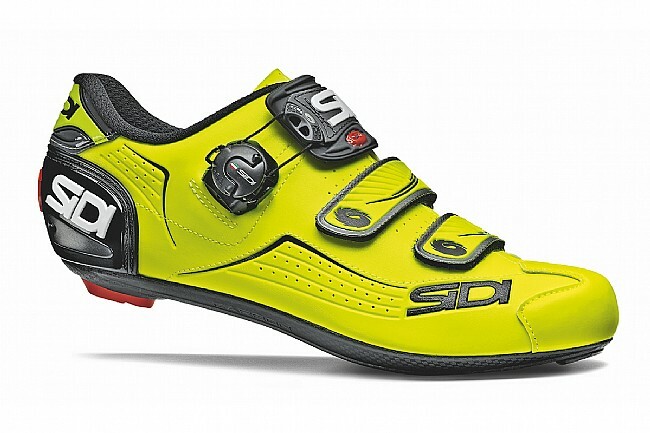 I am a fan of Sidi shoes but I am always look for value among the offerings and this shoe makes the cut. It is comfortable. I like closure mechanism and it looks good. 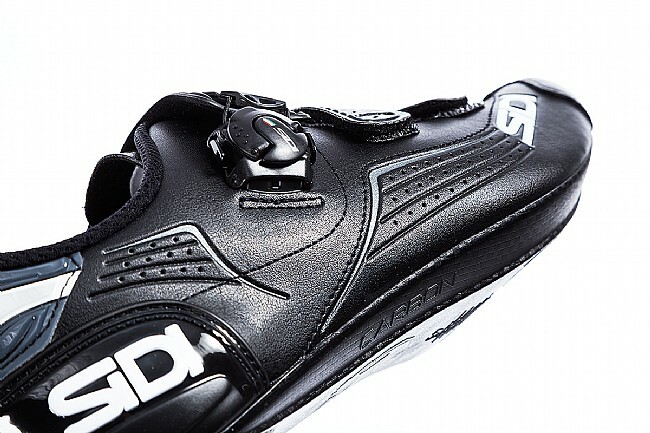 And with Sidi, you can always get any parts of the shoe that wear out. Tried a few others but always came back for the fit and quality. Each successive pair was better than the last . . . until now. These are very good shoes, but flawed. The pair I bought five or six years ago were better. These were noticeably more narrow, even though the same size. I can wear them in summer team socks just fine, but come winter, when I usually wear thin, Merino wool socks under my team socks, I will be out of luck. The saw-toothed edge of the shoes' tongues actually cut into the skin at the front of my ankles enough to make them bleed. The dial retention system is clever but not as easy to use, on or off the bike as the previous levernotch system. It wasn't broke, so why did they fix it? 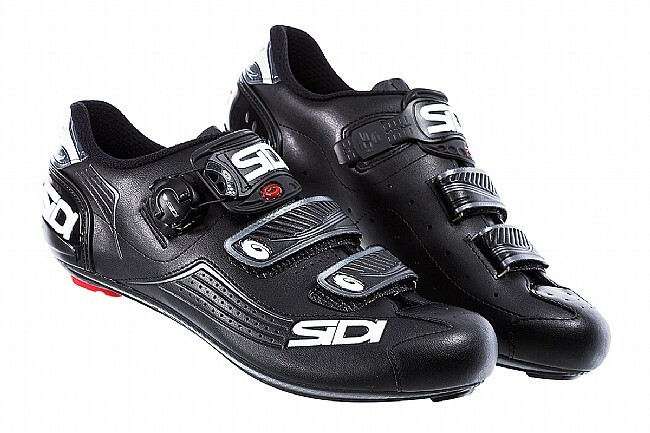 I have been using Sidi shoes for over twenty five years and they are always the best in quality. I can always get the same size and they are a perfect fit. I have had some of my shoes for a long time and as long as you store them inside, they seem to last forever. The Alba road shoes are no exception. 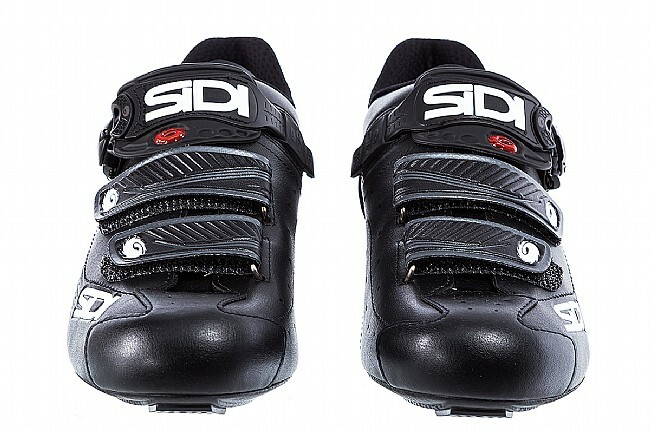 They are made with high quality and have the proper fit like all my other Sidi's. The buckle system seems to work good and is easy to adjust. We will have to wait and see if there are any long term issues. 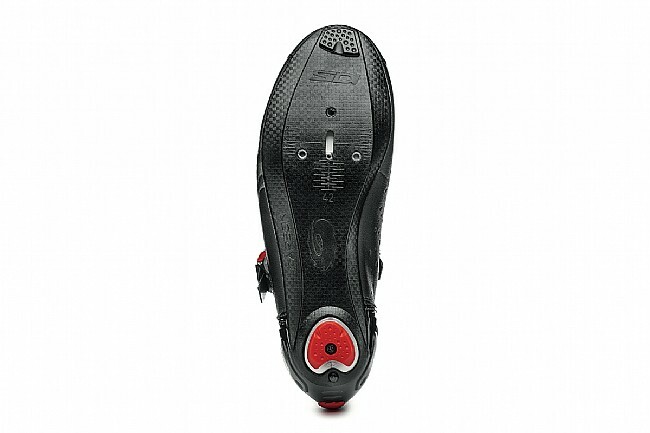 I am overall satisfied with my purchase and would recommend them to anyone looking for an inexpensive pair shoes with the well know Sidi fit and quality. Shoes are very comfortable ,the fit was perfect and easy to adjust with the marks on the bottom for cleat setup. As an added bonus the color of shoes matches my bike. 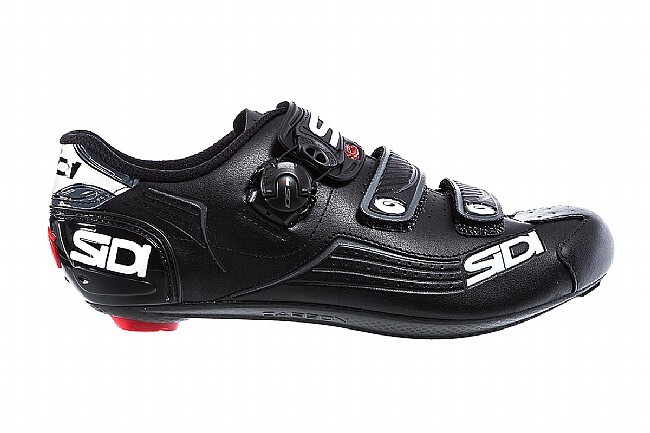 My second pair of Sidi road shoes. I was looking for the turnbuckle style of shoe in place of the lever action clasps. That detail (and particularly so multiple turnbuckles) dramatically affect the shoe price. This pair was not inexpensive but on sale they actually came in under my other pair (Genius Fit). I just have several hundred miles on them since I started using them a few weeks ago. Comfortable, easy inout and they're neon green so they can't be missed by the motorists!